Rudolf Christian Karl Diesel's inventions in the field of compression ignition engine are well known, but there was a little known Englishman named Herbert Akroyd-Stuart who actually filed for a patent and built compression ignition engines with the help of Richard Hornsby before Diesel created his version. If things had gone down a little differently, you could be watching youtube videos of people rolling coal in a hornsby-akroyd, but we can all agree that its good the German won the patent/naming conventions around compression ignition, and Englishmen won World War II. 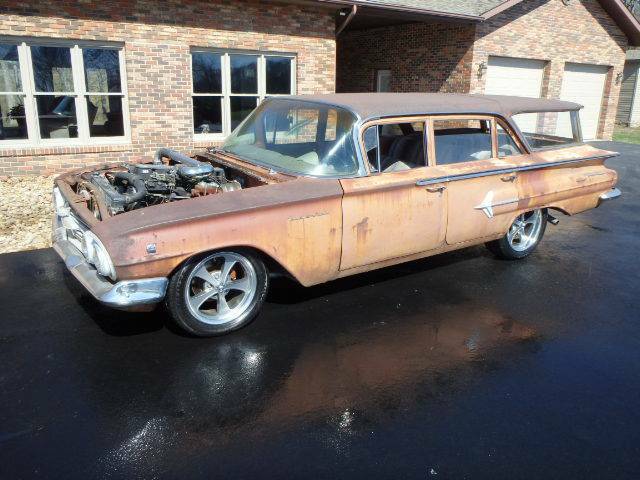 Find this 1960 Chevrolet Wagon with Cummins 5.9 Diesel offered for $9,900 in Tri-Cities, TN via craigslist. This next beast might have German roots, but it is strictly an American act from start to finish. 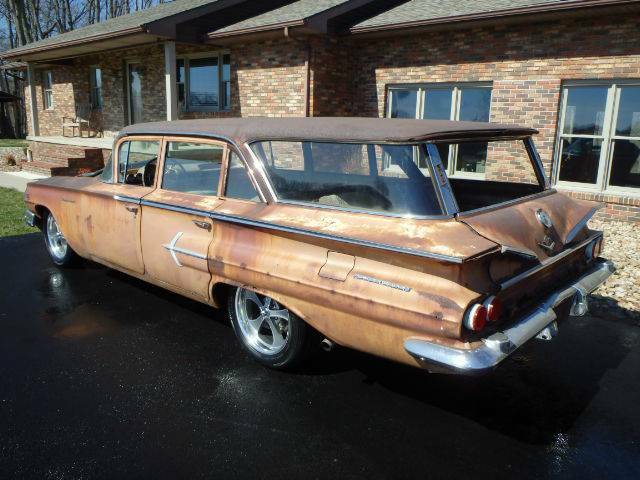 Under a fine thick layer of patina is a 1960 Chevrolet Brookwood or Parkwood or Kingswood -- let's just agree that lots of wood was involved. Under the hood Between the fenders is a Cummins 5.9 liter straight-6 that is turbocharged and not-intercooled to produce prodigious smoke. 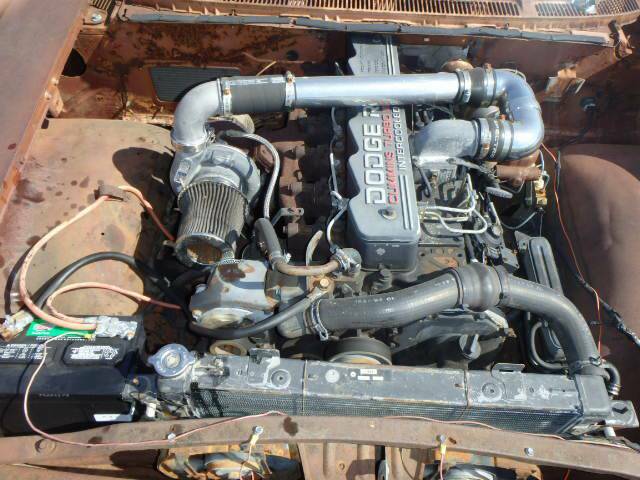 This is a 12-Valve 6BT from what I can gather from the info at DieselConversion.com and should be good for 200ish horsepower and 300ish ft-lbs of torque when stock. Modifications to the fuel and air systems should push that number up quickly. Too much interior patina. Love the idea, but don't want tetanus from riding around the block. It took them 60 years, but Germany did eventually execute the original plan to rule all of Europe.... but back to cars: I don't mind rat rods, but this thing just looks unfinished.